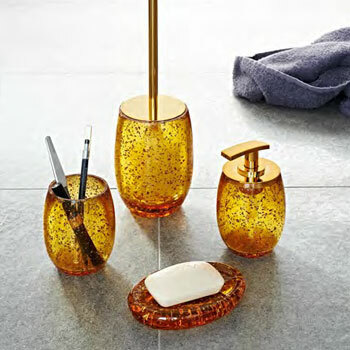 This set of bathroom accessories are semi-transparent with an amber/gold colour, which make them look very luxury and sparkling. These beautiful and elegant bath accessories are ideal bath set for a fashion bathrooms. Use them to add visual impact to your bathroom! The size options include a soap dispenser and a tembler.